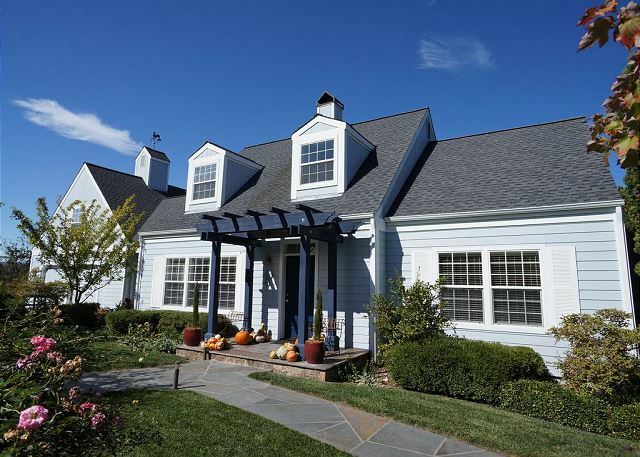 This home is located in northeast Healdsburg on Alexander Valley Road, at the mouth of the Alexander Valley and just minutes from the Dry Creek Valley. 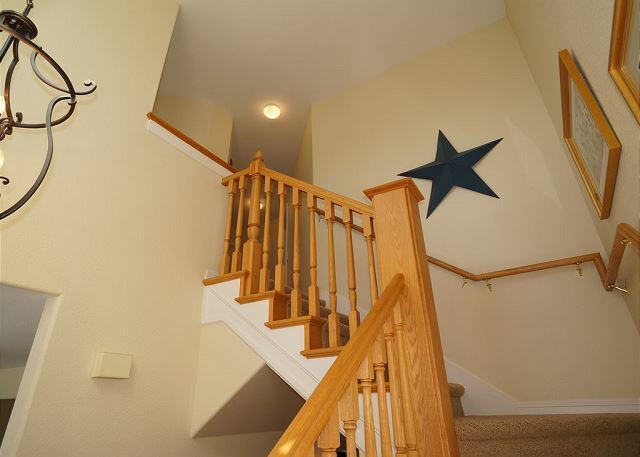 This beautiful, 2-story 2,400 sqft home is well-maintained, with mature English garden style landscaping, flagstone walkways and back patio, fruit trees and a seasonal vegetable garden. Enter under the covered arbor into a living room with oak hardwood flooring, leather chair and sofa and 42” Samsung flat screen TV with Comcast Xfinity programming. The living room is open to the kitchen and dining areas. The gourmet kitchen is sure to please the most discriminating chef, featuring a professional 4 burner stainless steel Wolf range with convection oven, quartz countertops, farmhouse sink and island. The welcoming country-style dining room has a lovely oval table for 6 (with leaf, for 8) and large side serving table and hutch. High ceilings and beautiful crown moldings, a lovely chandelier over the table and double glass doors leading to the back porch add an elegant touch. There is a side front entry door leading into the convenient indoor laundry with Kenmore HE front loading washer/dryer set. Enjoy lounging in the large bonus room with coffered ceiling, 7‘ pool table, wet bar with granite countertop, stainless steel sink and a wine fridge. There is a sectional sofa with 2 recliners and full-size sleeper sofa. The entertainment system features surround sound system, Blu-ray player, Yamaha receiver and Logitech Harmony 1 controller. The Master bedroom is on the ground floor with queen four-poster bed and ensuite bath. 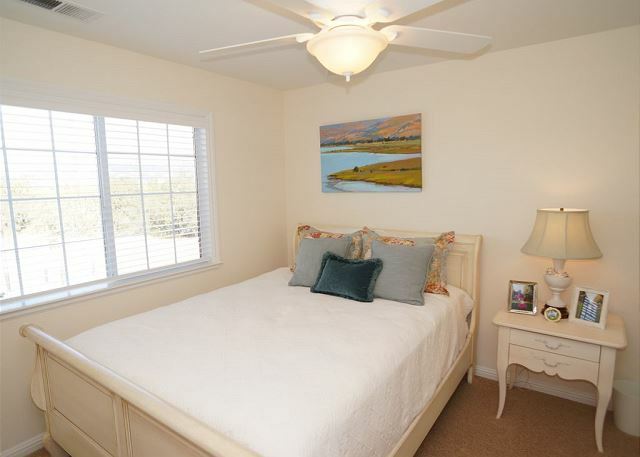 2 further queen bedrooms and shared bath are upstairs. 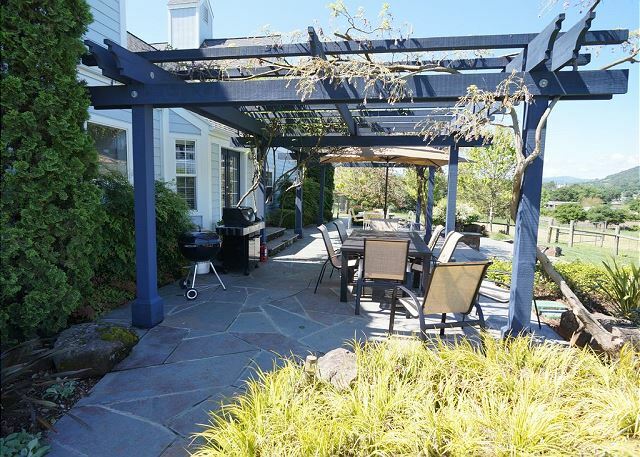 From the large slate patio with outdoor furniture you will enjoy views over oak and pasture to the Mayacama and Geyser Peak Mountains. A very large arbor covered with wisteria and roses shades the deck. Fruit trees, koi pond with waterfall, a lovely lawn and abundant plantings of all kinds make up the wonderful landscaping. 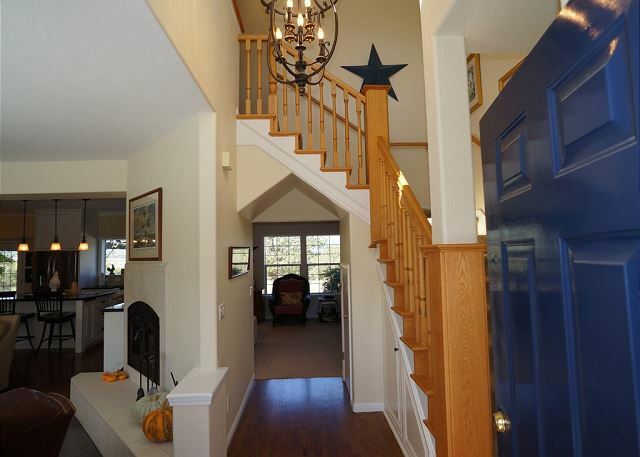 This home is on a 10 acre parcel, providing lots of privacy. The outdoor fryer, Weber Sprint Grill and a briquette grill provide ample opportunity for outdoor cooking among the beautiful surroundings. We did a family Wine Country trip after Christmas. Loved the large, well furnished house set quietly back away from the road. Really close to many great wineries and to restaurants and stores. Very pretty inside and out with newly prepped vineyard areas in the front and rear of the house. We truly enjoyed our family vacation at this beautiful home. The kitchen was amazing. Well-furnished is an understatement. There are more pots, pans, dishes, bowls, and glasses than I have seen at any rental. It was so easy to do a large meal for Thanksgiving. Our grown children loved the upstairs rec room. The pool table was a hit as was the large screen tv. It gave us an ability to be together but with plenty of space. My one suggestion is about the tv. It presently has parental controls on which make it difficult to watch any movies. Our request for the code to unlock it went unanswered. It could also use a listing of channels since there are so many available. But this small issue did not affect our overall experience which was great. The grounds are beautiful and the house is immaculate. We loved being here. This house was great! Very clean and spacious, great for a group of 7 friends. The views are beautiful, only a 10 minute drive from the Healdsburg town center and many wineries in the area. The owners were very attentive and helpful. Would definitely recommend! This is the second time my family has rented this home to celebrate my wife's birthday. We have never been happier with a vacation home than we've been here. The house is always in pristine condition. The atmosphere is country-like. Yet getting into Healdsburg for dinner takes five minutes. We hope to return when the vineyard has been planted. This house was excellent! Clean, well equipped, an AMAZINGLY well stocked kitchen, a convenient location. The sheep and cows in the pasture were a big plus and the view was quite pretty. My only complaint was only queen sized beds in this otherwise perfect home. And it felt like home!!! 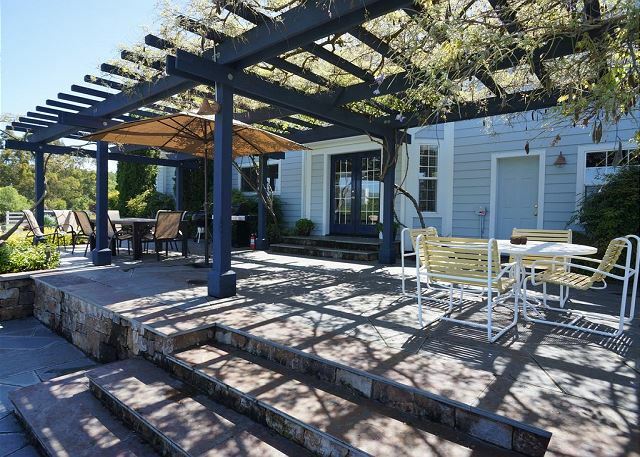 The property is located on 10 acres of land (which are currently home to a few sheep and a few cattle) in the Alexander Valley wine district, convenient to a number of great Sonoma County wineries and minutes away from the attractive small town of Healdsburg. We enjoyed our 2-1/2 months in this home - it is a pleasant and comfortable house and has every thing needed for a pleasant stay. Our family stayed at the Healdsburg Alexander Valley Retreat and it was perfect for the 6 of us (plus one toddler). The setting is absolutely beautiful and we welcomed the quiet of the countryside. The sheep in the pastures come and go and the birdsong is lovely. Even in November we were able to sit outside next to the little fish pond on the deck. The house is spotless, the beds are comfortable and the kitchen is a chef's dream. We hope we can return sometime. This property was perfect- very clean, well stocked, great location, absolutely beautiful views, the list goes on! We had 6 girls for a weekend, we had plenty of space and really enjoyed our time in Healdsburg. Transportation was easy from the house (uber/lyft). We BBQ'd, star gazed from the hottub and even enjoyed having morning coffee on the back patio near the sheep! 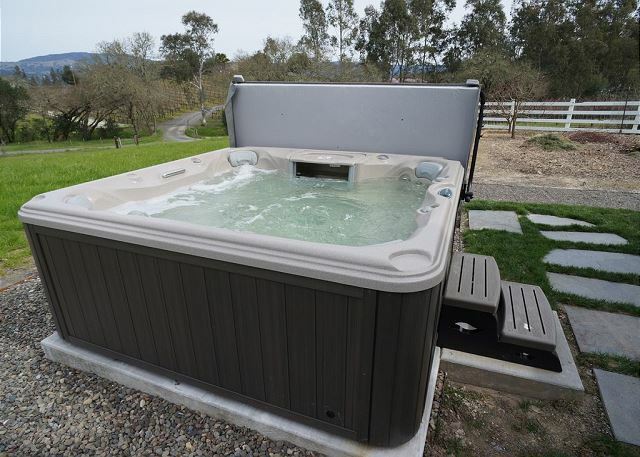 Healdsburg vacation rental staff were incredibly helpful, knowledgeable and friendly in the process of booking, I truly can't say enough great things! It was a perfect extended weekend for me and my family to celebrate my wife's birthday. The house was immaculate and well stocked with everything we needed in the kitchen and beyond. The deck provided a wonderful view of the valley. It was an easy trip to Healdsburg restaurants and nearby wineries. Could not have asked for anything more.